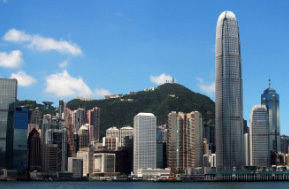 Hong Kong, with a population of about 7.01 million* in mid-2009, is a small but dynamic city which has earned an international reputation as a leading commercial and financial centre as well as a highly efficient entrepot. Almost from the outset 150 years ago, Hong Kong enjoyed a prosperous entrepot trade, thanks mainly to its world-class harbour strategically located on the main Far Eastern trade routes. Subsequent historical and political events led to the development of the manufacturing industry. Hong Kong has also seen a rapid expansion of its services sector in the past two decades, contributing up to 92 per cent of Hong Kong’s Gross Domestic Product (GDP) in recent years. Hong Kong is today a world-class financial, trading and business centre and, indeed, a great world city. Hong Kong has no natural resources, but it has one of the finest deep-water ports in the world. A hardworking, adaptable and well-educated workforce coupled with entrepreneurial flair, is the bedrock of Hong Kong’s productivity and creativity. Hong Kong became a Special Administrative Region (SAR) of the People’s Republic of China on July 1, 1997, after a century and a half of British administration. Under Hong Kong’s constitutional document, the Basic Law, the existing economic, legal and social systems will be maintained for 50 years. The SAR enjoys a high degree of autonomy except in defence and foreign affairs.